When we were visiting Stockholm last summer, there was a Levantine restaurant located just two blocks from our Airbnb. We ate there three times in five days, I think. And although we really wanted to try Falafelbaren - the place that came highly recommended from two of my favorite (Stockholm-based) food bloggers, David and Luise - we just couldn't quit the convenience of the falafel-slinging establishment that was literally a two minute walk away (ok, three if you count the time it took us to race down five flights of stairs). 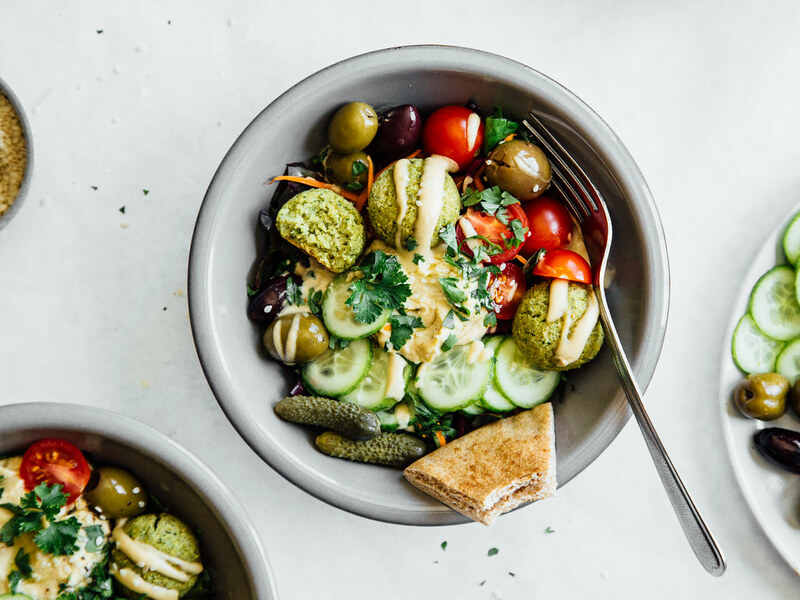 While the falafel itself wasn't anything worth writing home about, the restaurant had the dreamiest of mini-salad bars that took my giant plate of hummus and deep-fried falafel up about five notches.. and was the main reason I kept dragging Thom back for more. As a long time lover of bowl food, I knew I had to recreate a bowl version when I got back home. And so I did. For nearly a year I made the recipe with store bought falafel because, you know, falafel making isn't exactly my forte. 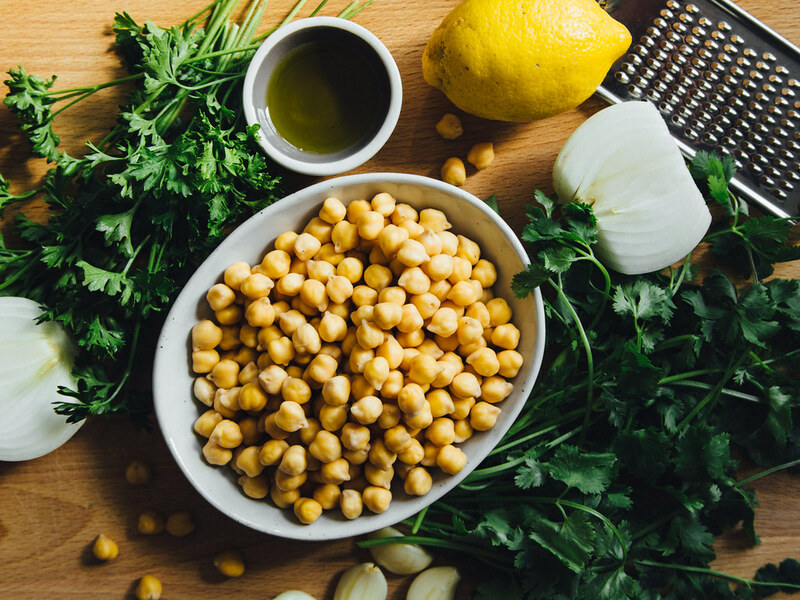 Case in point: the first time I tried to tackle falafel I used canned chickpeas. CANNED CHICKPEAS. Thanks to Wikipedia, I quickly learned that is not how you make falafel. And because the canned chickpea incident made me temporarily suspicious of the credibility of the internet (there's a boatload of misinformation out there, you guys) (but there's also a lot of useful stuff, too), I called up the falafel guru at my favorite Mediterranean restaurant to get some real deal tips on making truly authentic falafel. Use clean oil, he advised. For frying? I asked. It took me a few seconds to muster up the courage to admit that I'd be baking it but, when I finally did, he cut me off mid-sentence and sighed, Child, please don't concern yourself with fat. I laughed. And before I could inform him that 1) I'm 28 years old and 2) it's not the fat I'm concerned about but the at-home deep frying (there's a 96.2% chance I would set our new kitchen ablaze), he carried on and told me to use soaked beans. Soak them for 24 hours in the refrigerator, no more no less. Use purified water. AND FOR THE LOVE OF ALL THINGS SACRED DO NOT USE CANNED BEANS. (Heh.) He then proceeded to ramble on about the importance of using good quality dry beans. I only half understood what he was saying because he was speaking at a rate of about 500 words per minute but OK! Noted. The best quality dry beans, it is. Be liberal with the herbs and spices but keep it simple, he continued. Use fresh herbs, if you can. At the end of the call he gave me the green light to bake the falafel, but told me I should fry a couple just to see what you're missing. Less than 36 hours and a pound of dry chickpeas later, I had mastered the art of baked falafel (and 12 hours after that, I had mastered the art of eating baked falafel). By now I'm sure you're all well aware that 2016 is the International Year of Pulses.. right? And you've all taken the Pulse Pledge and are keeping good on your commitment to eat pulses once a week.. right? Although it probably seems like I'm beating a dead horse (SORRY! 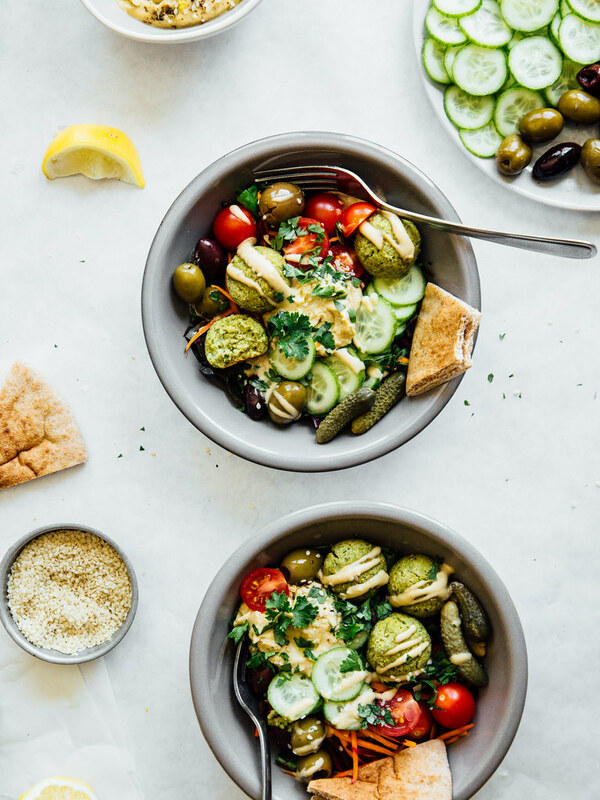 ), I cannot stress enough the importance of incorporating protein-rich pulses into your diet - especially if you're someone who abstains from eating animal-derived sources of protein - because protein plays a number of critical roles in our bodies. 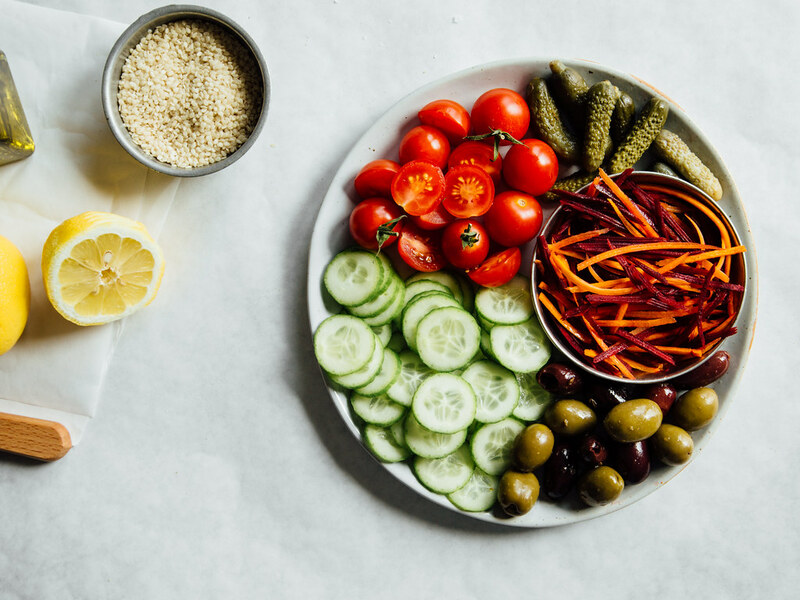 In the event you have no idea how much protein you need, some really smart humans spent a lot of time researching adequate protein intake and discovered that the average human needs 0.36 grams of protein per pound of bodyweight, per day. 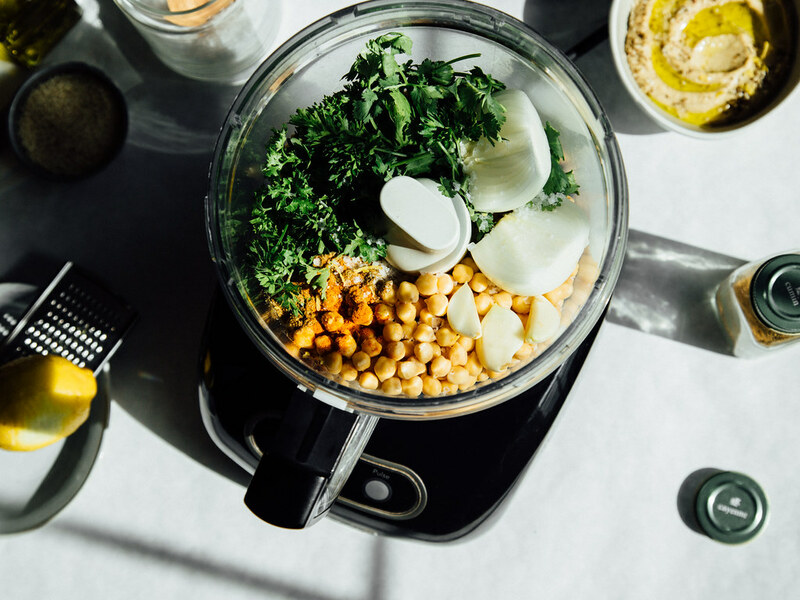 Lucky for you, pulses pack a lot of protein. So eat your beans, dry peas, lentils, and chickpeas, and next time someone asks you that very annoying BUT WHERE DO YOU GET YOUR PROTEIN??? question, you can respond with two simple words: PULSES, BRO. 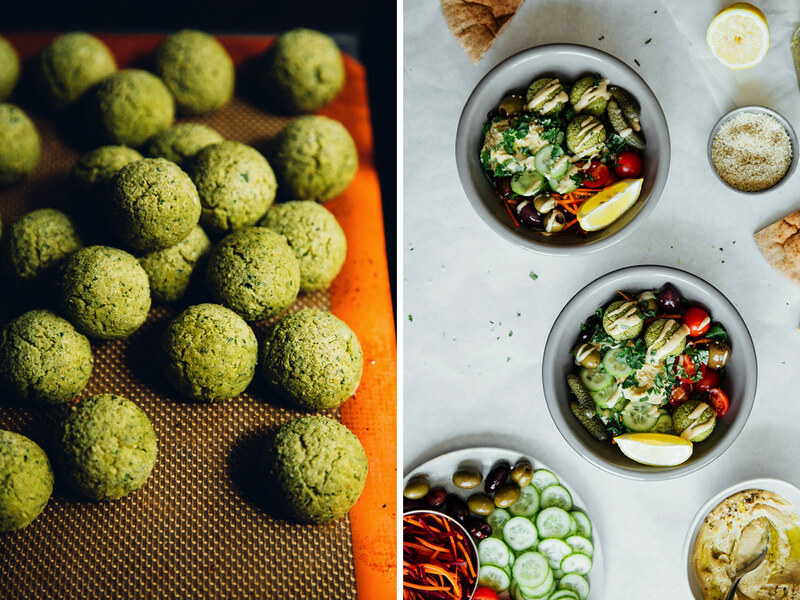 Notes: This recipe requires a bit of work/forward-thinking on your part, but if you'd rather use store bought falafel.. no judgement here. ;) I'm a big fan of loading up on all the toppings, but feel free to make this bowl your own and customize as needed. 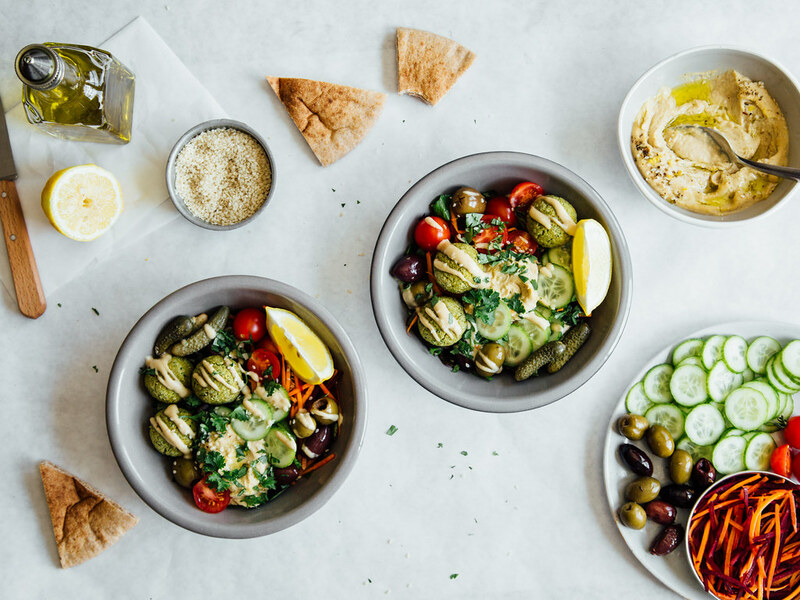 If you're extra hungry (or feeding a hungry crowd), pair the bowls with some tabbouleh. This post is sponsored by North American Pulses. All opinions are my own, and I think we all should be eating more pulses because they're good for ya (and - BONUS! - they're good for the environment, too). 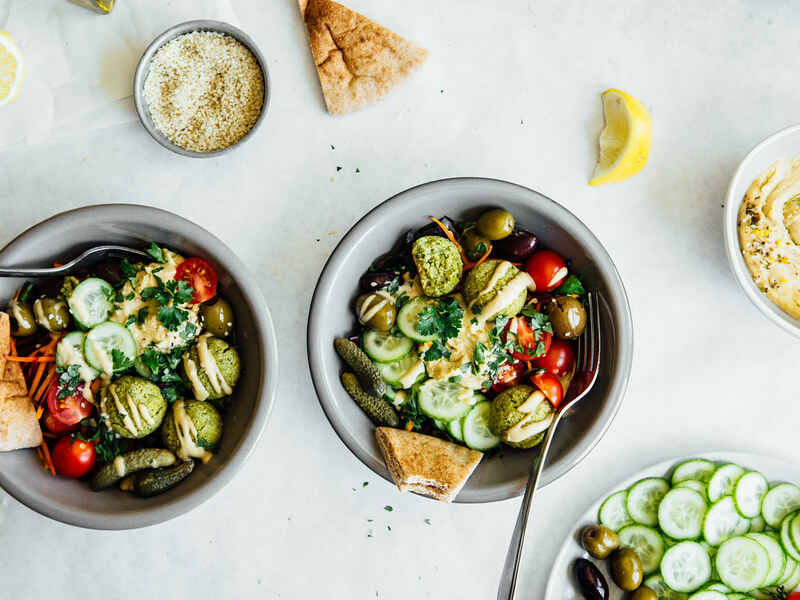 Divide the greens between bowls and top with all the veggies. 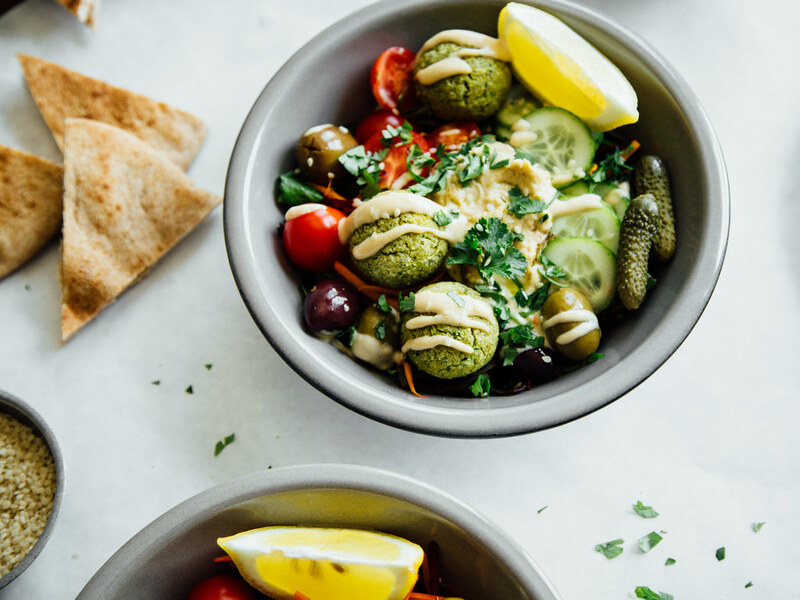 Add a scoop of hummus (go big or go home) and a few pieces of falafel. Drizzle with tahini sauce (be liberal with it) then finish with a squeeze of lemon juice, fresh herbs, and sesame seeds. 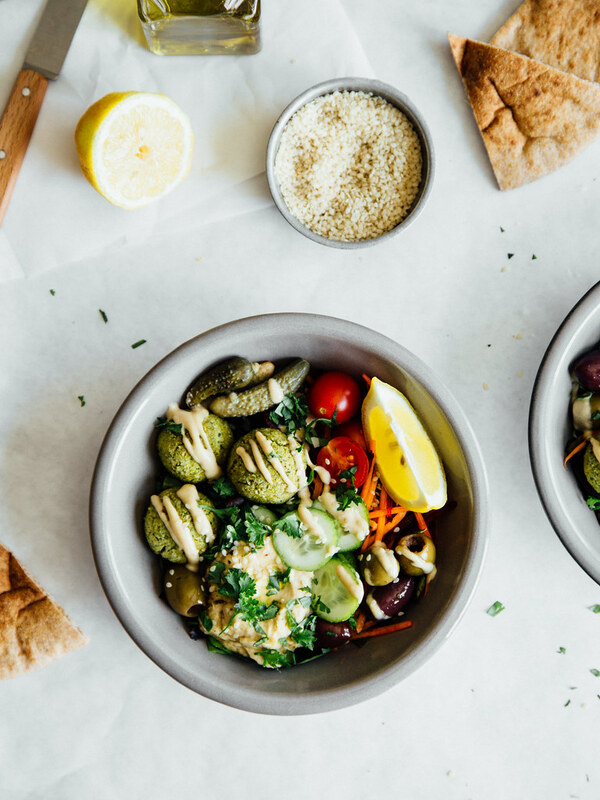 Eat immediately, preferably with a side of warm pita bread. 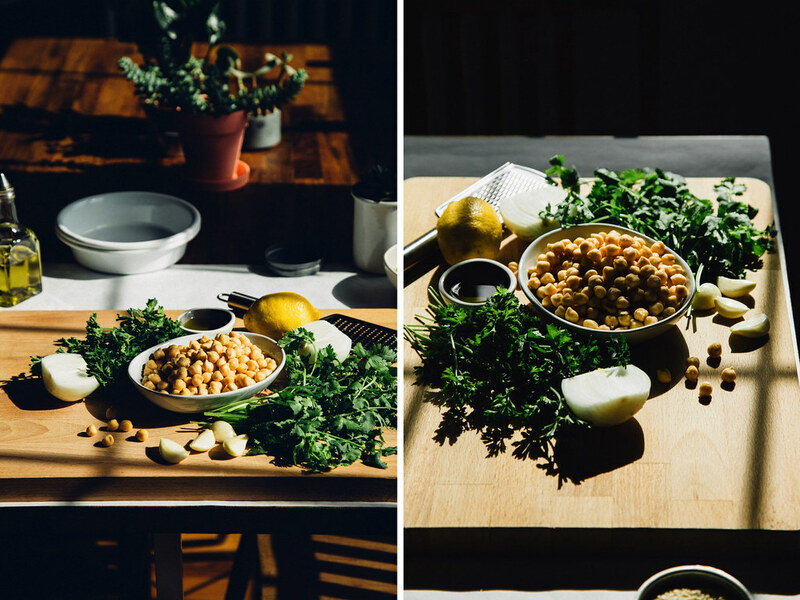 Notes: I really wanted to use equal parts chickpeas + fava beans, but I couldn't track down the fava variety so I settled on straight up chickpeas. Though if you try this recipe with fava beans, I'd love to know how it turns out. 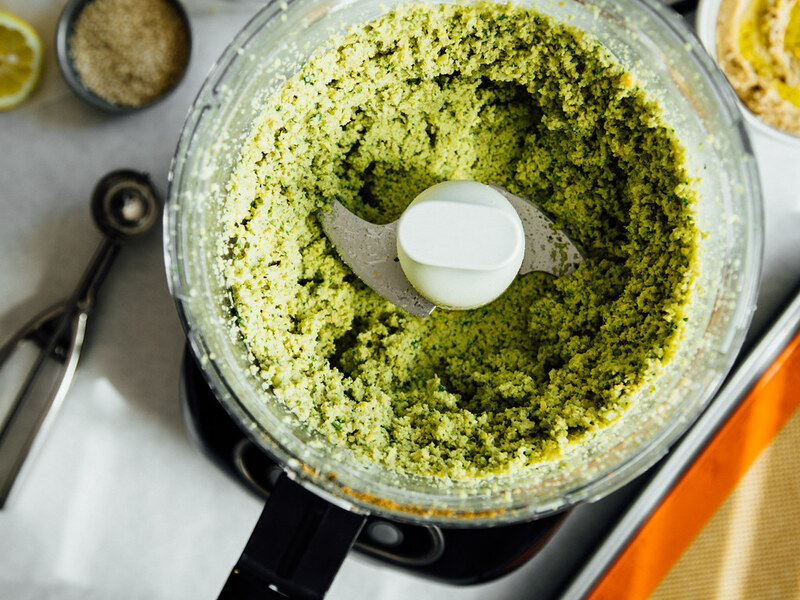 If you find your falafel mixture a bit on the wet side, add some chickpea flour - one tablespoon at a time - until the desired consistency is reached (heads up, the mixture should be slightly wet). This recipe packs just a little bit of heat so if you don't like anything on the spicy side, omit the cayenne pepper. Preheat oven to 400˚F. Line a small baking sheet with a silicone mat or parchment paper; set aside. 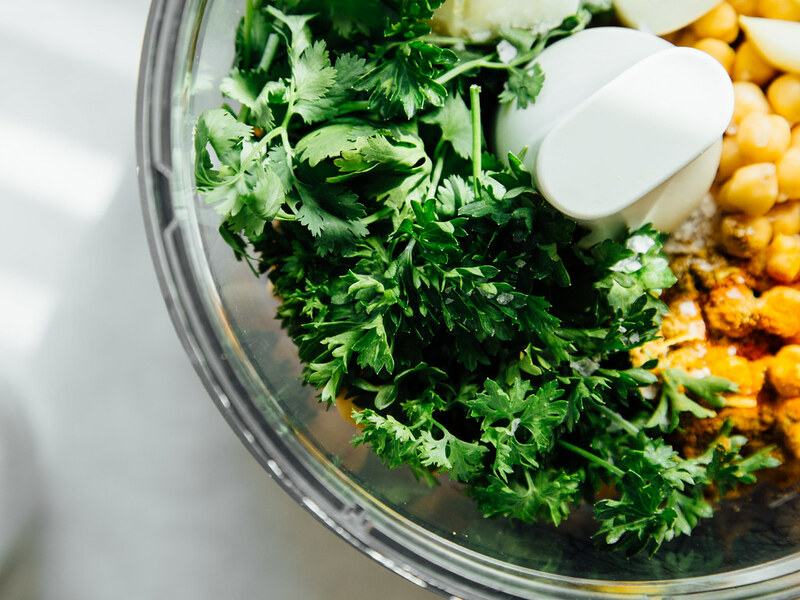 Drain the water from the chickpeas then add them to the base of a food processor fitted with the S blade, along with the remaining ingredients (hold off on the oil, that's for brushing the falafel at the end). Process mixture until paste-like (but still slightly chunky), scraping down the sides as needed (this shouldn't take more than two minutes). 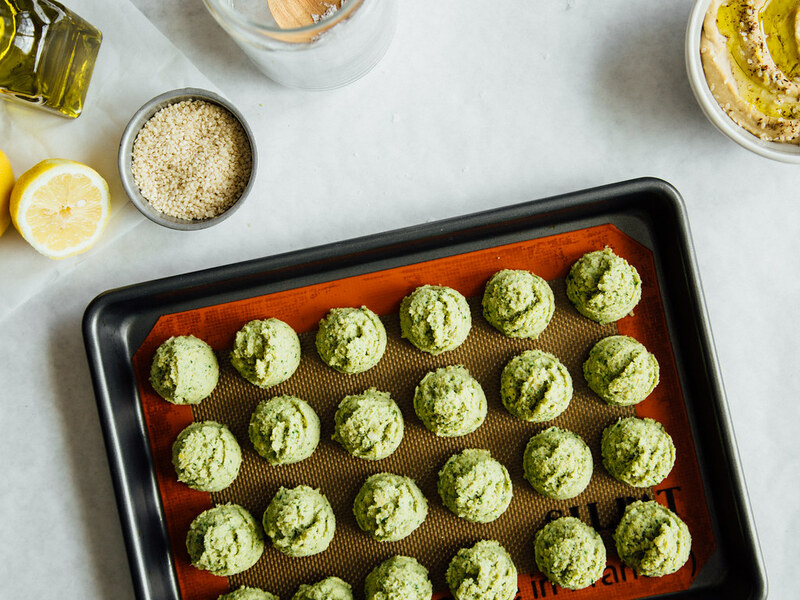 Using a 1 1/2 tablespoon scoop, drop the falafel mixture onto the prepared baking sheet and roll into round balls. Brush with oil then bake at 400˚F for 20-22 minutes. 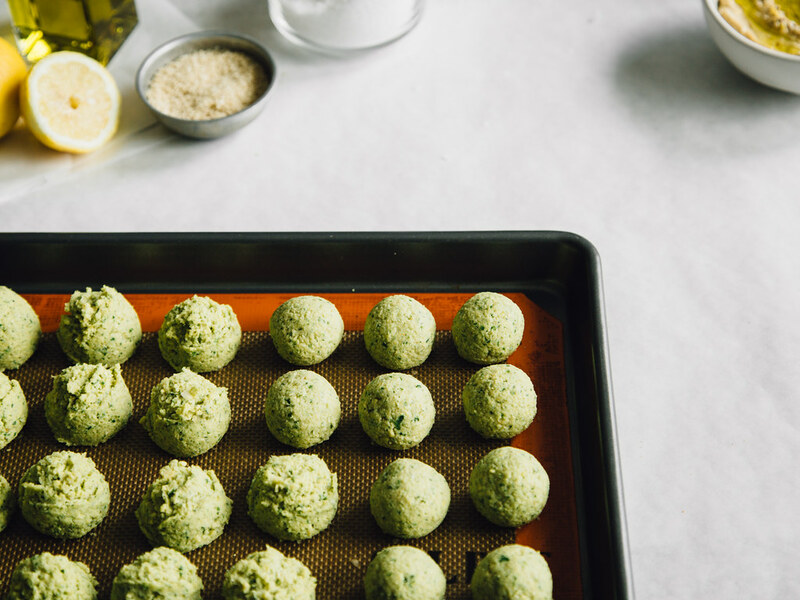 Allow falafel to cool on baking sheet then transfer to an air tight container and refrigerate for up to one week. Reheat as needed.